The Content Wrangler Content Strategy Book Series from XML Press gives business professionals a road map for success. Each volume provides practical advice, best practices, and lessons learned from the most knowledgeable experts in that field. Currently, there are ten books in the series, with several other titles coming in 2019, including: Voice and Tone: A Primer, Localizing Employee Communications, The Language of Learning, The Language of Business Storytelling, The Language of Content Marketing, and The Language of Augmented Reality. The Language of Cybersecurity is an essential reference for anyone who wants to understand cybersecurity, which these days is everyone. With fifty-two contributors, all known for their depth of knowledge, this book defines the terms that every business professional should know and understand about cybersecurity. Go to the book page for The Language of Cybersecurity for more information. 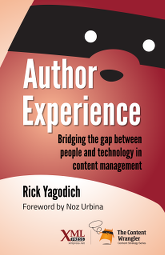 Author Experience (AX) focuses on the value of managing the communication process effectively and efficiently from the point of view of those who actually create and manage content. Author Experience identifies the all-too-common inconsistencies and cognitive hurdles that make so many content management systems hard to use, and it describes how CMS vendors can make their products work better for authors. Go to the book page for Author Experience for more information. Successful content strategy projects start with knowing the quantity, type, and quality of your existing assets. 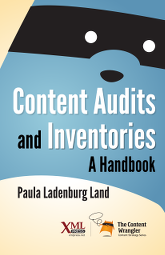 Content Audits and Inventories: A Handbook, by Paula Land, shows you how to begin with an automated inventory, scope and plan an audit, evaluate content against business and user goals, and move forward with a set of useful, actionable insights. Go to the book page for Content Audits and Inventories for more information. Nearly every organization needs to serve customers around the world. Global Content Strategy describes how to build a global content strategy that addresses analysis, planning, development, delivery, and consumption of global content that will serve customers wherever they are. 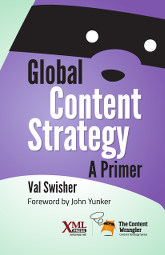 Go to the book page for Global Content Strategy for more information. 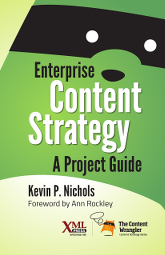 Go to the book page for Enterprise Content Strategy for more information. Today, everything is marketing. All of the content we produce affects the customer experience. Therefore, all content is marketing and all content producers are marketers. We need to take control of our content Intelligent content gives us the means to create higher quality, more reusable content more efficiently. 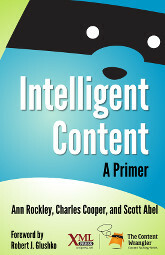 In Intelligent Content: A Primer, Ann Rockley, Charles Cooper, and Scott Abel, have joined forces to bring you a clear, practical introduction that will get you started with intelligent content. Go to the book page for Intelligent Content: A Primer for more information. The Language of Technical Communication has a dual objective: define the terms that form the core of technical communication as it is practiced today and predict where the field will go in the future. The choice of terms defined in this book followed two overarching principles: include all aspects of the discipline of technical communication, not just technical writing, and select terms that will be relevant into the foreseeable future. Go to the book page for The Language of Technical Communication for more information. The Language of Localization defines 52 terms that every business professional should know, even professionals who do not specialize in localization. In a global market, every business person needs to understand the importance of localization and be able to speak intelligently with localization professionals. 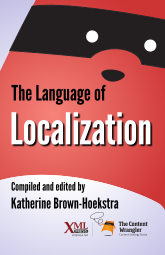 Go to the book page for The Language of Localization for more information. The Language of Content Strategy is the gateway to the world of content strategy. With fifty-two contributors, all known for their depth of knowledge, these books define the terms that form the core of an emerging profession and, as a result, help shape the profession. The terms span a range of competencies within the broad area of content strategy. 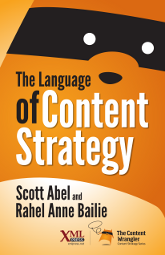 Go to the book page for The Language of Content Strategy for more information. Outsourcing stirs strong emotions. Employees associate it with layoffs, reduced quality, and plummeting morale. The truth is that, when done correctly, outsourcing often does not lead to layoffs, can lead to increased quality, and can even boost morale. Outsourcing Technical Writing provides a comprehensive introduction to outsourcing technical writing, providing a roadmap for outsourcing success along with cases studies, a sample outsourcing agreement, and a sample plan. Barry Saiff is a leading expert in technical writing outsourcing and management. He has experienced outsourcing from both sides: as a technical communication leader in the US and as a manager of offshore technical writers and customer liaison in the Philippines. Go to the book page for Outsourcing Technical Writing for more information.